My post is sponsored by LoveTheWild fish and all opinions are my own. My biggest problem of the day is usually What Healthy Meal can I whip up fast? Whether it’s lunch or dinner the problem is the same. Not enough time to prep, but still need to get something in my belly with good vitamins in it. 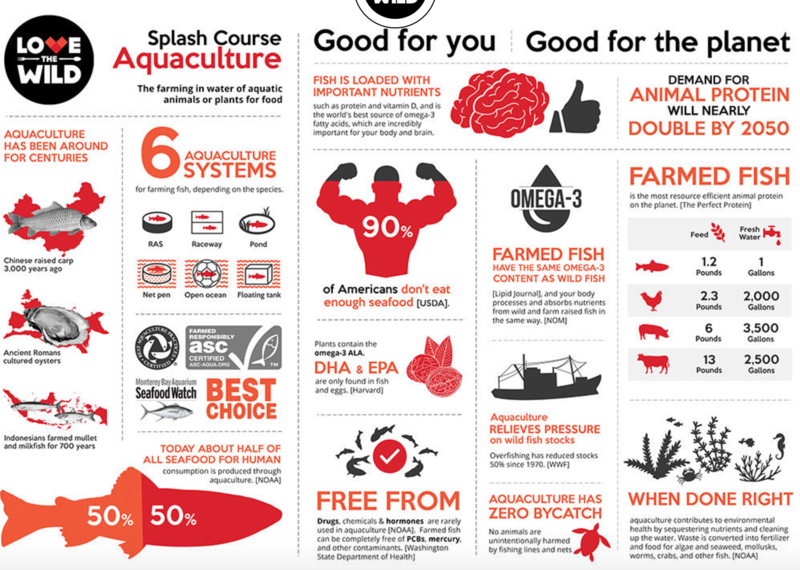 Did you know 90% of Americans don’t eat enough seafood? I believe it. I eat it, but not as often as I should! I think mostly because I’m scared to cook it. I have one main way I make it and that’s it. I need to get more creative. That is why I need more LoveTheWild who has fish already prepped with fun sauces and ready to go with fabulous instructions…which are made with love as you can see. 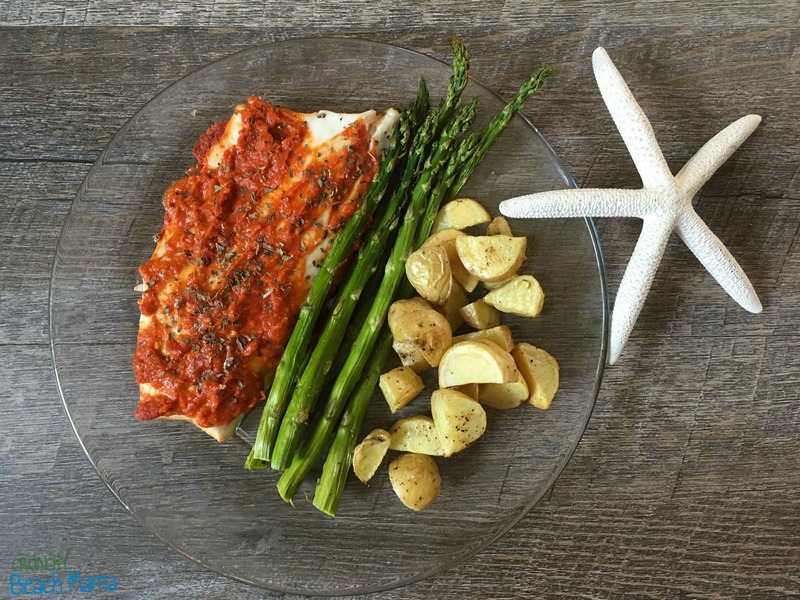 This is Striped Bass with Roasted Red Pepper Almond Sauce. You’ll find it in the frozen seafood section at your local grocery store. 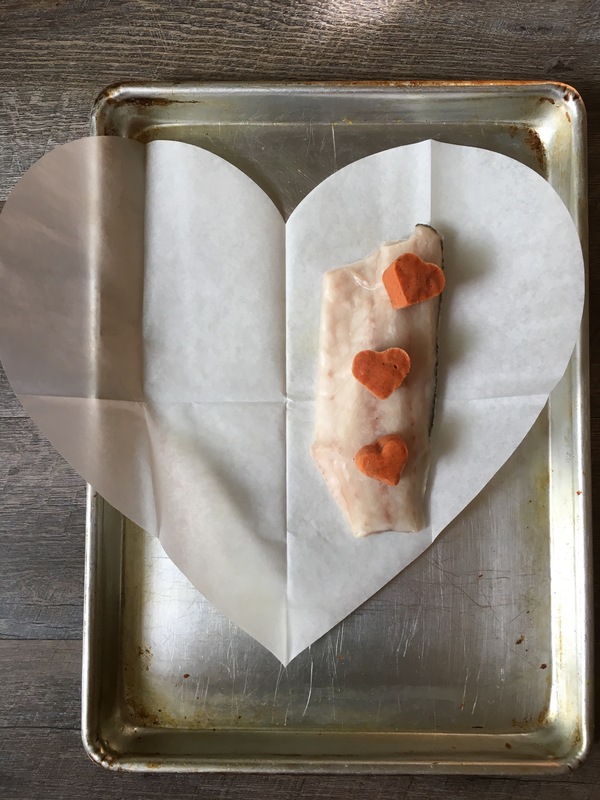 Each package contains a piece of fish, sauce, and a slice of heart shaped parchment paper. 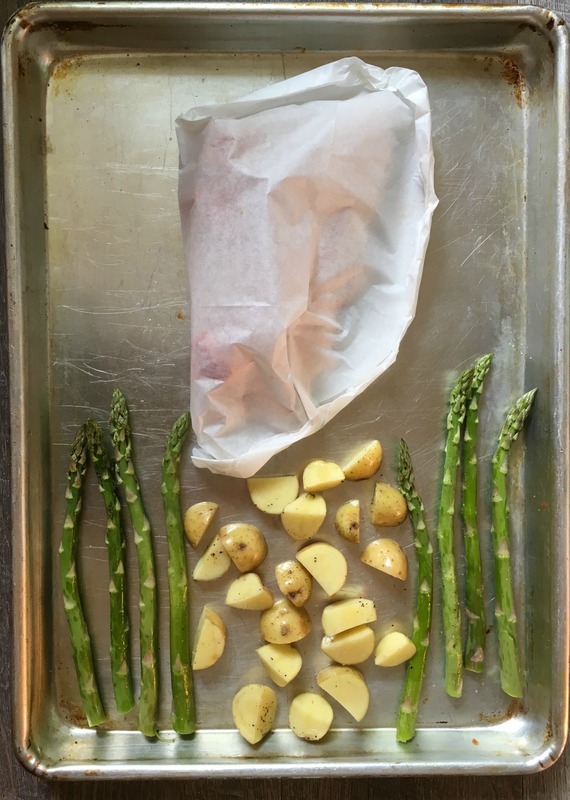 Follow the easy instructions which entail wrapping up your fish to bake. 20-25 minutes later it is time to eat! I added asparagus and potatoes, mixed with a little olive oil and sprinkled with salt and pepper, and roasted it with the fish all in one pan. You’ll also find Rainbow Trout with Salsa Verde at Whole Foods and Red Trout with Salsa Verde & Barramundi with Mango Sriracha Chutney anywhere LoveTheWild is located. All Yum! What will I do with my time that I have saved in prepping dinner? I will finish reading The Tradd Street series by Karen White. They are mysteries, with a bit of humor, that take place in historic Charleston, South Carolina and gosh does it make me miss it there! My heart will always be at the ocean. 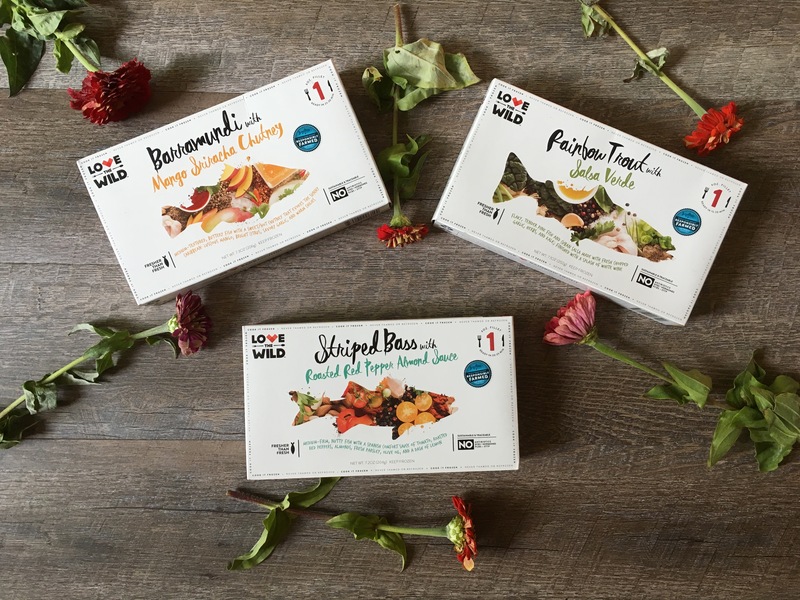 LoveTheWild partners with and support farmers they trust to source only the highest quality sustainable fish. It’s called Aquaculture and have to admit I’ve never heard of that term (see I’m not savvy enough with seafood! ), but I like the way it sounds. Here is a great infographic from LoveTheWild site. Delicious. Nutritious. Ecologically Responsible. Easy. Foolproof. What is not to Love? What will you do with the additional me time in your day? 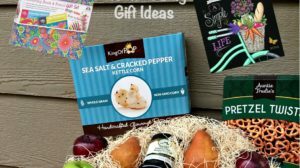 PLUS the first 10 commenters to share what you will do with your additional me time + your email address will receive a digital coupon for $2 off a LoveTheWild fish product! This giveaway will end on Oct. 25, 2017 at midnight MST. Winners will be drawn via rafflecopter. Once a winner is drawn I will contact them and they will have 48 hours to reply before I draw a new winner. Giveaway is open to anyone in the US. You must be 18 years of age or older. Giveaway is not affiliated with Facebook & I release them of liability. Winner will be posted in the rafflecopter widget.